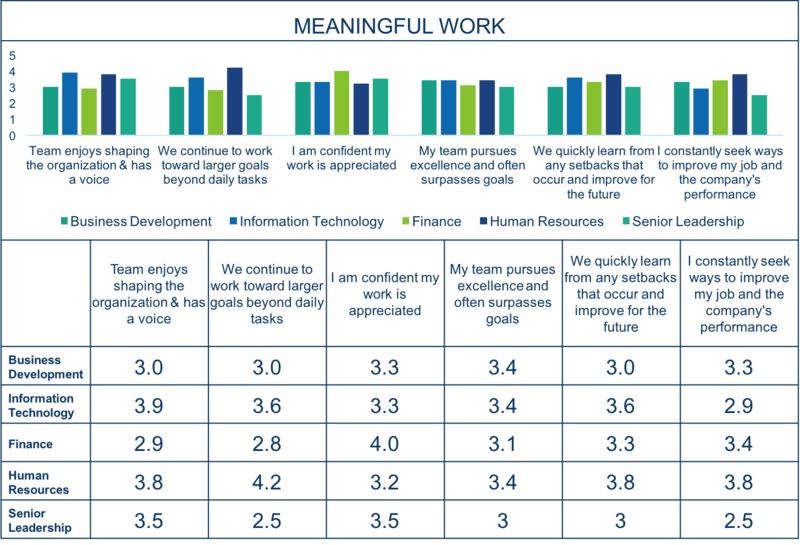 In today’s war for talent, employee engagement is critical. According to the Workplace Research Foundation, engaged employees are 38% more likely to demonstrate above-average productivity. 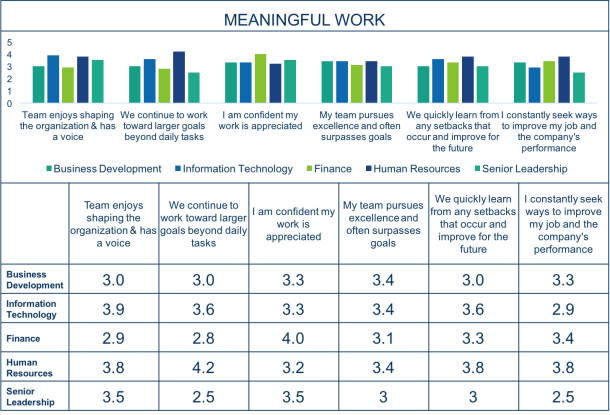 Engaged employees display a willingness to go above and beyond with a strong pursuit of excellence. Their commitment to the organization is greatly enhanced as well, with a strong desire to stay and support the company. Leaders who are able to inspire and engage their teams take their organizations to new levels of success. At Performex, we partner with organizations to drive employee engagement. Leveraging our experience developing leaders of innovation-driven organizations across the country, we understand both what engages employees and how to develop these skills within leadership teams. Many firms provide out-of-the-box engagement surveys, but we take a unique approach. We have developed a bank of over 200 questions relevant to employee engagement in today’s marketplace. We work collaboratively with client organizations to identify key areas and develop a custom employee engagement survey for each team. Our employee engagement consulting team will handle survey deployment using a streamlined online portal which offers a security and ongoing progress reports. Following survey completion, we will provide output reports tailored to your needs. With data segmented by organization, manager and function, we can thoroughly “drill down” to identify challenges areas and opportunities for improvement. Too often, organizations perform engagement surveys and gain important insights but fail to complete the loop by developing action plans to address the challenge areas identified. Performex employee engagement consulting includes the development of an action plan with on-site workshop to build skills and engagement in the challenge areas that arise from the survey. Real recommendations using 40 years of experience and data. 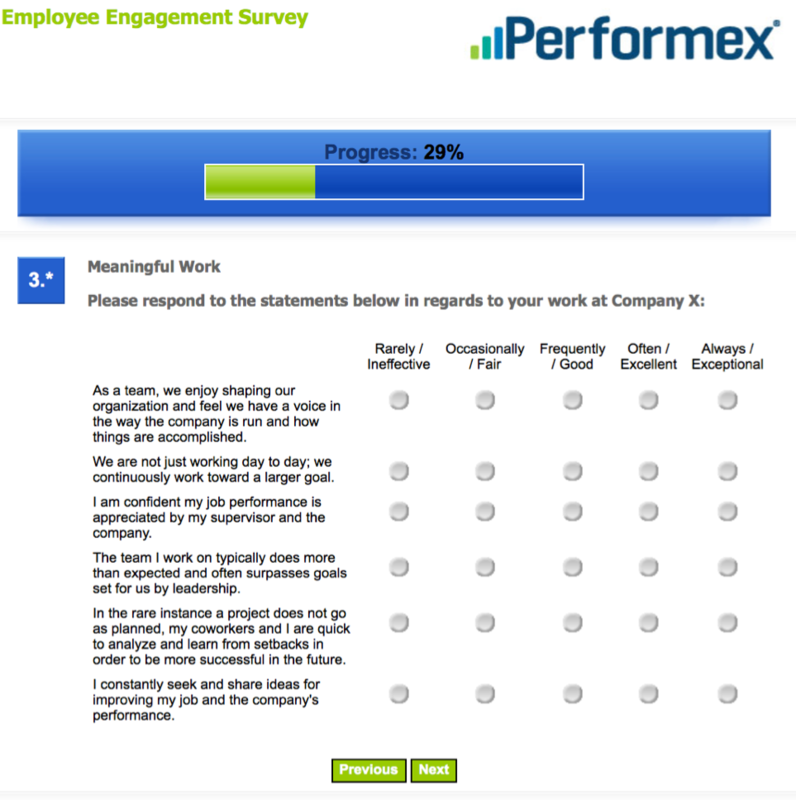 Are you interested in partnering with Performex to boost your employees’ engagement and results? Contact us to learn more.